Text: Joh 16:13-15 ESV When the Spirit of truth comes, he will guide you into all the truth, for he will not speak on his own authority, but whatever he hears he will speak, and he will declare to you the things that are to come. (14) He will glorify me, for he will take what is mine and declare it to you. (15) All that the Father has is mine; therefore I said that he will take what is mine and declare it to you. Christians can talk about Jesus and relate to Jesus. They can see Him as a man walking the earth preaching and doing miracles. But because the Holy Spirit did not become a man in the flesh, they don’t understand Him. Because the Holy Spirit is invisible, it is hard for the carnal mind to relate to Him. And so, it becomes hard for Christians to relate to Him at first. So I want to take a moment to think about getting to know the Holy Spirit as a person. He is first and foremost the Spirit of Truth. He is the Revealer of Truth. That is how Jesus described Him to us. We often point out His supernatural empowering of the believer with the gifts of the Spirit: tongues, interpretation, prophecy, discerning of spirits, words of knowledge, word of wisdom, gifts of healings, working of miracles, and special faith. We often talk about His supernatural manifestations in signs and wonders. But I’ve almost never heard Pentecostals or Charismatics or any denomination talk about Him as the Spirit of Truth – the Revealer of Truth. They are not taught to spend time with HIM. They are not taught how to hear HIM. They are not taught how to be led by Him. When we learn these things, we’ll be able to walk in the supernatural power of God on a regular basis. That is supposed to be the normal Christian life – living in that vital relationship with His Holy Spirit. So much so that the supernatural healings, miracles, and signs are not the exception but they can become the norm. First and foremost we are focusing on Him being the Revealer of Truth. He is the One that opens our eyes to the Truths of the Bible because ultimately it is He that wrote the Bible – through the hands of men! He always points to the Bible. He always points to Jesus – who is the Word of God made flesh! 2Pe 1:20-21 KJV Knowing this first, that no prophecy of the scripture is of any private interpretation. (21) For the prophecy came not in old time by the will of man: but holy men of God spake as they were moved by the Holy Ghost. Jesus wanted us to know the Holy Spirit first and foremost as the revealer of Truth. Today people do not know the Holy Spirit as the Revealer of Truth like they should. They often put emphasis on the moving of God’s Spirit in a service through the gifts but they think nothing is happening if the Spirit is anointing the minister to preach or teach the Bible. I tell you that the preaching and teaching of God’s Word IS a move the Spirit. And it is more important than the gifts of the Spirit. Those Christians that always want the Spirit to move but reject any type of preaching or teaching are carnal. They are flesh-ruled. They don’t know the Spirit of God very much because Jesus first told us He is the Revealer of Truth! Today is the greatest time of deception in the Body of Christ ever! There are more false brethren, false prophets, and false apostles than ever before. The Bible warned us that they would come. The Bible has a lot to say about them. 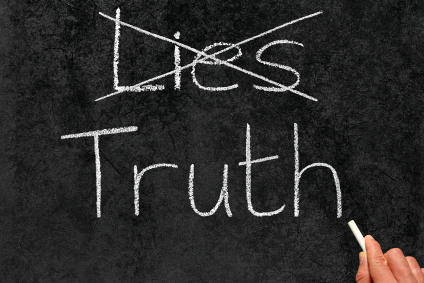 How do we counter deceivers who preach and teach not Truth? You counter un-truth with Truth! You correct those that don’t believe the Truth with Truth. It is God’s Word given under the anointing of the Holy Spirit that is His primary way of chastising His children. If He doesn’t chasten you, then He doesn’t love you. But because He loves you, He will chasten you with His Word. 1Jn 4:4-6 ESV Little children, you are from God and have overcome them, for he who is in you is greater than he who is in the world. (5) They are from the world; therefore they speak from the world, and the world listens to them. (6) We are from God. Whoever knows God listens to us; whoever is not from God does not listen to us. By this we know the Spirit of truth and the spirit of error. Any spirit that denies the inspired writings of the men of God that wrote the Bible is the Spirit of Error. There are people that grossly misinterpret the Bible. The Bible is the key to knowing God and His plans and purposes. But if we misinterpret the Bible, we come up with the wrong ideas about God and doctrine – we really do not know God like we think we do. For example, there are those that take symbols, types and shadows and interpret them into doctrines. But the correct way to do it is to go to the Bible FIRST which will teach you the doctrines. THEN find the symbols, types, and shadows that agree with the doctrine the Bible teaches. If a doctrine is created from a symbol or the figurative language of the Bible that disagrees with the literal translation of the Bible, then it must be rejected. Kingdom Now is another erroneous teaching that has infiltrated the Christian churches TODAY! This isn’t in the cults; it is now being taught inside Christian churches! The Bible says, it is a cancer. 2Ti 2:17-18 AMP And their teaching [will devour; it] will eat its way like cancer or spread like gangrene. So it is with Hymenaeus and Philetus, (18) Who have missed the mark and swerved from the truth by arguing that the resurrection has already taken place. They are undermining the faith of some. 1Ti 1:20 AMP Among them are Hymenaeus and Alexander, whom I have delivered to Satan in order that they may be disciplined [by punishment and learn] not to blaspheme. What is Kingdom Now teaching? Kingdom Now teaching rejects literal interpretation of Scripture to come up with a “deeper” meaning. This is the classic demonically inspired side-stepping that cults do. They read the same Bible you and I do but change the meaning of many passages to a “spiritual” meaning which completely contradicts or rejects the literal and actual meaning of the Bible. You can’t even hardly talk to these people because they change the definitions of words so that when you show them a passage, you can read it the literal way but they are indoctrinated, coached, and programmed to change the meaning of the words. So you can hardly even get through to them because though they are reading the same Bible you are, they are not seeing the Truth clearly spelled out right in front of them. They need to be delivered from the spirit of Jezebel, the spirit of Deception, and the spirit of Error. A deeper meaning can be found in many Scriptures. And we should try to find it after we learn the basic meaning of the Bible first, under the direction of the Spirit of Truth. But to reject the literal interpretation of the Bible so as to embrace the deeper meaning which is exactly what cults have been doing for thousands of years. They change the text into all figurative language then they interpret those figures and symbols however they see fit. That is not by the Spirit of Truth – that is the Spirit of Error! They say, “I can see what the Bible says on the surface but God has shown me a deeper meaning that supersedes the plain reading of the Text and only those that are SPIRITUAL will except my new revelation! Only the ‘religious’ people are going to hold to the normal reading of the Bible.” Kingdom Now people are deceived. Never make a “deep prophetic” doctrine from the interpretation of symbols and the figurative language of the Bible without believing the literal plain reading of the text FIRST! One of the greatest rules in interpreting your Bible is compare Scripture with Scripture. You don’t need additional commentary from books and men to interpret the Bible for the Bible interprets Itself. Kingdom Now teaching rejects the historical fact that Jesus did NOT come back yet. Kingdom Now people believe we are living in the Millennial Reign of Christ NOW. But there are a few problems with that theory….like where’s Jesus? We didn’t see Him sitting on the throne in Jerusalem ruling and reigning for a thousand years and then there was a new Heaven and new Earth like the Bible says. Zec 14:1-4 ESV Behold, a day is coming for the LORD, when the spoil taken from you will be divided in your midst. (2) For I will gather all the nations against Jerusalem to battle, and the city shall be taken and the houses plundered and the women raped. Half of the city shall go out into exile, but the rest of the people shall not be cut off from the city. (3) Then the LORD will go out and fight against those nations as when he fights on a day of battle. (4) On that day his feet shall stand on the Mount of Olives that lies before Jerusalem on the east, and the Mount of Olives shall be split in two from east to west by a very wide valley, so that one half of the Mount shall move northward, and the other half southward. Act 1:9-12 ESV And when he had said these things, as they were looking on, he was lifted up, and a cloud took him out of their sight. (10) And while they were gazing into heaven as he went, behold, two men stood by them in white robes, (11) and said, “Men of Galilee, why do you stand looking into heaven? This Jesus, who was taken up from you into heaven, will come in the same way as you saw him go into heaven.” (12) Then they returned to Jerusalem from the mount called Olivet, which is near Jerusalem, a Sabbath day’s journey away. Mat 24:30-31 ESV Then will appear in heaven the sign of the Son of Man, and then all the tribes of the earth will mourn, and they will see the Son of Man coming on the clouds of heaven with power and great glory. Do you see Jesus? Did He come back and reign for a thousand years in the year 70AD when the temple was destroyed? Did the rapture take place in the year 70AD? (31) And he will send out his angels with a loud trumpet call, and they will gather his elect from the four winds, from one end of heaven to the other. If Jesus had appears for all to see, history would have told us. If the rapture took place in the past, history would have told us that thousands of people suddenly disappeared. Rev 20:4 ESV Then I saw thrones, and seated on them were those to whom the authority to judge was committed. Also I saw the souls of those who had been beheaded for the testimony of Jesus and for the word of God, and those who had not worshiped the beast or its image and had not received its mark on their foreheads or their hands. They came to life and reigned with Christ for a thousand years. Kingdom Now teaching says this is happening now. Do you know anyone beheaded by the antichrist for not worship his image or received his mark of 666 that is reigning with Christ NOW? I don’t …because it hasn’t happened yet! They think it happened in the year 70AD but the problem is that 1,000 years have passed. So what do they do now? Just like the Jehovah’s Witnesses, they say it is “spiritual”. They say when God talks about reigning for 1,000 years He didn’t really mean a literal 1,000 years…it is figurative, meaning for a “long long time”. This is again the rejection of the literal reading of the Bible to find a deeper meaning that often contradicts the Bible. For example, the book of Revelation talks about when Jesus will literally return to the earth , to resurrect and rapture His Saints, and to Judge the nations. The Kingdom Now doctrine teaches to reject that He is coming back to do those things. The Kingdom Now doctrine teaches to believe Revelation is really just symbolic for the struggles of the Christian life. The Kingdom Now doctrine teaches to not believe in a literal antichrist coming to deceive and rule the world – that just represents the “problems of sinfulness in your heart.” It may make you feel better to believe that but it is A LIE! You are not getting deeper into the things of God by interpreting the Bible this way – you are getting deeper into the things of Satan. The Kingdom Now doctrine teaches to reject the literal interpretation of the entire Old Testament by replacing the mention of Israel with the Church (except in those passages where Israel is judged by God – then it really does mean literal Israel). Often Kingdom Now teaches to reject the concepts of Hell, the Lake of Fire, Judgment, and the wrath of God as being literal. That is the same thing the Universalists cult does. They eliminate hell and believe everyone will be saved – even the devil. Again, this may make someone “Feel” good but it is simply not true. Those who reject Jesus are still condemned until they accept Him (John 3: 18). They are still sinners destined for a literal Lake of Fire until they accept Him. If there is no wrath or judgment, then Jesus did not need to die for our sins. It makes the cross worthless if He did not redeem us from Judgment, the Lake of Fire, and the wrath of God. Eliminate the concepts of sin, hell, and God’s wrath and you eliminate the entire purpose of the Cross! You eliminate CHRISTIANITY ENTIRELY! This is exactly what the devil wants and he preaches it through his counterfeit of the Spirit of Truth known as the Spirit of Error. Kingdom Now doctrine teaches things will get better in the future because Christians are supposed to take over the planet – all governments, education, business. Once we take over, then Jesus is allowed to come back but He will not rapture us. Some are even militant about taking over! But other are more subtle. This is what you will hear more than anything else in these types of churches. Churches attempt to buy malls, banks, and other entities that belong to the business world in an attempt to control the economy and commerce. Oh, and they usually fail at these business endeavors because God NEVER called us to take over the world – HE CALLED US TO PREACH THE GOSPEL! Kingdom Now believes since Christians will take over the world for Jesus, things will get better. But that is not what the Bible teaches.The Bible say perilous times shall come in the last day; IT IS NOT GOING TO GET BETTER BUT IT WILL GET WORSE. To believe otherwise is reject Scripture. difficult, that is, dangerous, or (by implication) furious: – fierce, perilous. These are the days of deception. Don’t fall for the deception but live in the Truth of God’s Word every day. Only Truth can counter un-truth. Only the Truth of God’s Word will protect you from the deception that is in the Body of Christ today. Become intimate with the Holy Spirit of Truth!